They are the ones who have taken command of those words and wrote the stories we love. They are the authoresses of timeless tales and narratives. Women who dare to speak their mind through a story. Who bring their unique perspective to a world who needs it. They are readers with an open heart and the courage to share their inner worlds with us. These women authors are such an inspiration to me! Not so much because of the stories that they wrote, but also because of their own personal stories. Each one of them is a reminder to me that women can and should write and if you have a story in your heart eventually, if you are a writer, it will find its way to the page. 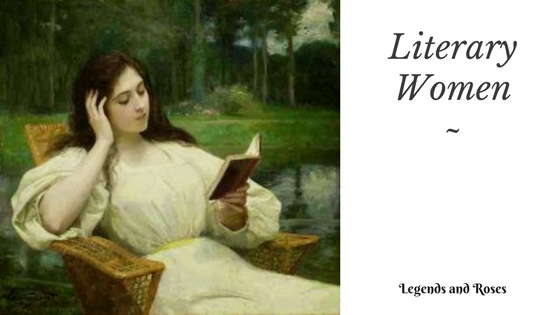 On my Literary Women goodreads list, I have been putting together a list of famous women authors and their books that I have read and some that I would like to read. I am hoping to read more women authors this coming year. Right now, I am sticking mainly with the classics. Many of them I haven’t read yet!